William Tecumseh Sherman (/tᵻˈkʌmsə/; February 8, 1820 – February 14, 1891) was an American soldier, businessman, educator and author. He served as a General in the Union Army during the American Civil War (1861–65), for which he received recognition for his outstanding command of military strategy as well as criticism for the harshness of the "scorched earth" policies that he implemented in conducting total war against the Confederate States. Sherman began his Civil War career serving in the First Battle of Bull Run and Kentucky in 1861. 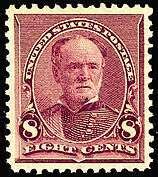 He served under General Ulysses S. Grant in 1862 and 1863 during the battles of Forts Henry and Donelson, the Battle of Shiloh, the campaigns that led to the fall of the Confederate stronghold of Vicksburg on the Mississippi River, and the Chattanooga Campaign, which culminated with the routing of the Confederate armies in the state of Tennessee. 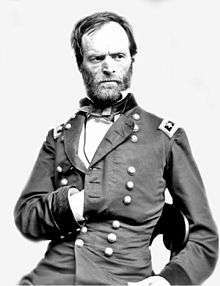 In 1864, Sherman succeeded Grant as the Union commander in the Western Theater of the war. 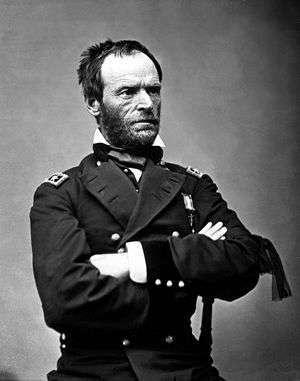 He proceeded to lead his troops to the capture of the city of Atlanta, a military success that contributed to the re-election of U.S. President Abraham Lincoln. 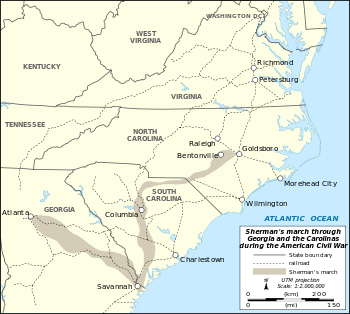 Sherman's subsequent march through Georgia and the Carolinas further undermined the Confederacy's ability to continue fighting. He accepted the surrender of all the Confederate armies in the Carolinas, Georgia, and Florida in April 1865, after having been present at most major military engagements in the Western Theater. When Grant assumed the U.S. presidency in 1869, Sherman succeeded him as Commanding General of the Army, in which capacity he served from 1869 until 1883. As such, he was responsible for the U.S. Army's engagement in the Indian Wars over the next 15 years, in the western United States. He steadfastly refused to be drawn into politics and in 1875 published his Memoirs, one of the best-known first-hand accounts of the Civil War. British military historian B. H. Liddell Hart famously declared that Sherman was "the first modern general". Sherman's older brother Charles Taylor Sherman became a federal judge. One of his younger brothers, John Sherman, served as a U.S. senator and Cabinet secretary. Another younger brother, Hoyt Sherman, was a successful banker. 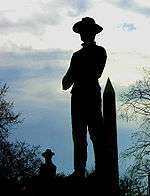 Two of his foster brothers served as major generals in the Union Army during the Civil War: Hugh Boyle Ewing, later an ambassador and author, and Thomas Ewing, Jr., who would serve as defense attorney in the military trials of the Lincoln conspirators. Sherman would marry his foster sister, Ellen Boyle Ewing, at age 30 and have eight children with her. Sherman's unusual given name has always attracted considerable attention. Sherman reported that his middle name came from his father having "caught a fancy for the great chief of the Shawnees, 'Tecumseh.'" Since an account in a 1932 biography about Sherman, it has often been reported that, as an infant, Sherman was named simply Tecumseh. According to these accounts, Sherman only acquired the name "William" at age nine or ten, after being taken into the Ewing household. His foster mother, Maria Willis Boyle (Maria Ewing), was of Irish ancestry and a devout Roman Catholic. Sherman was raised in a Roman Catholic household, though he later left the church, citing the effect of the Civil War on his religious views. 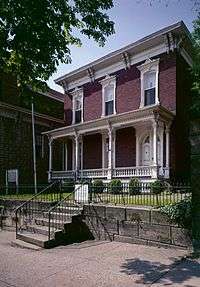 According to a story that may be myth, Sherman was baptized in the Ewing home by a Dominican priest, who named him William for the saint's day: possibly June 25, the feast day of Saint William of Montevergine. The story is contested, however. 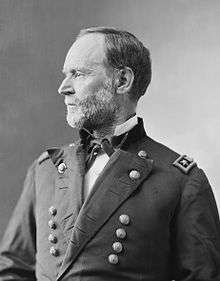 Sherman wrote in his Memoirs that his father named him William Tecumseh; Sherman was baptized by a Presbyterian minister as an infant and given the name William at that time. As an adult, Sherman signed all his correspondence – including to his wife – "W.T. Sherman." 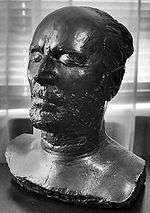 His friends and family always called him "Cump." 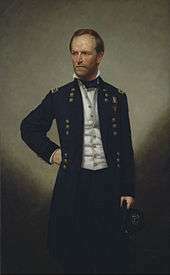 While many of his colleagues saw action in the Mexican–American War, Sherman performed administrative duties in the captured territory of California. 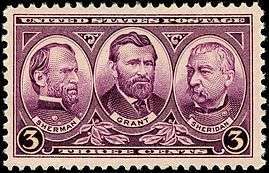 Along with fellow Lieutenants Henry Halleck and Edward Ord, Sherman embarked from New York on the 198-day journey around Cape Horn aboard the converted sloop USS Lexington. Due to the confined spaces aboard-ship, Sherman grew close to Halleck and Ord, and in his Memoirs references a hike with Halleck to the summit of Corcovado overlooking Rio de Janeiro in Brazil, notable as the future spot of the Cristo Redentor statue. Sherman and Ord reached the town of Yerba Buena, in California, two days before its name was changed to San Francisco. In 1848, Sherman accompanied the military governor of California, Col. Richard Barnes Mason, in the inspection that officially confirmed that gold had been discovered in the region, thus inaugurating the California Gold Rush. Sherman, along with Ord, assisted in surveys for the sub-divisions of the town that would become Sacramento. In 1850, Sherman was promoted to the substantive rank of Captain and married his foster sister, Ellen Boyle Ewing, four years younger, in a Washington ceremony attended by President Zachary Taylor and other political luminaries. Thomas Ewing was serving as the Secretary of the Interior at the time. Like her mother, Ellen Ewing Sherman was a devout Roman Catholic, and the Shermans' eight children were reared in that faith. In 1864, Ellen took up temporary residence in South Bend, Indiana, to have her young family educated at the University of Notre Dame and St. Mary's College. 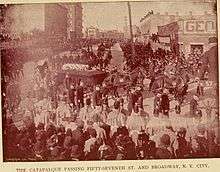 In 1874, with Sherman having become world-famous, their eldest child, Marie Ewing ("Minnie") Sherman, also had a politically prominent wedding, attended by President Ulysses S. Grant and commemorated by a generous gift from the Khedive of Egypt. (Eventually, one of Minnie's daughters married a grandson of Confederate general Lewis Addison Armistead.) Another of the Sherman daughters, Eleanor, was married to Alexander Montgomery Thackara at General Sherman's home in Washington, D.C., on May 5, 1880. To Sherman's great displeasure and sorrow, his oldest surviving son, Thomas Ewing Sherman, joined the religious order of the Jesuits in 1878 and was ordained as a priest in 1889. 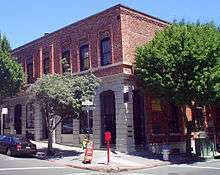 The former Lucas, Turner & Co. bank building (1854–57) at Jackson & Montgomery Sts. in San Francisco. In 1859, Sherman accepted a job as the first superintendent of the Louisiana State Seminary of Learning & Military Academy in Pineville, a position he sought at the suggestion of Major D. C. Buell and secured because of General George Mason Graham. He proved an effective and popular leader of the institution, which later became Louisiana State University (LSU). Colonel Joseph P. Taylor, the brother of the late President Zachary Taylor, declared that "if you had hunted the whole army, from one end of it to the other, you could not have found a man in it more admirably suited for the position in every respect than Sherman." By mid-December 1861 Sherman had recovered sufficiently to return to service under Halleck in the Department of the Missouri. (In March, Halleck's command was redesignated the Department of the Mississippi and enlarged to unify command in the West). Sherman's initial assignments were rear-echelon commands, first of an instructional barracks near St. Louis and then in command of the District of Cairo. Operating from Paducah, Kentucky, he provided logistical support for the operations of Brig. Gen. Ulysses S. Grant to capture Fort Donelson (February 1862). Grant, the previous commander of the District of Cairo, had recently won a major victory at Fort Henry (February 6, 1862) and been given command of the ill-defined District of West Tennessee. 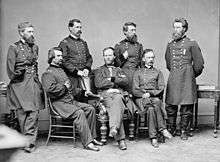 Although Sherman was technically the senior officer at this time, he wrote to Grant, "I feel anxious about you as I know the great facilities [the Confederates] have of concentration by means of the River and R Road, but [I] have faith in you—Command me in any way." 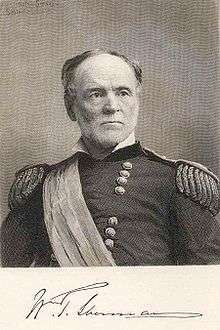 Command in the West was unified under Grant (Military Division of the Mississippi), and Sherman succeeded Grant in command of the Army of the Tennessee. 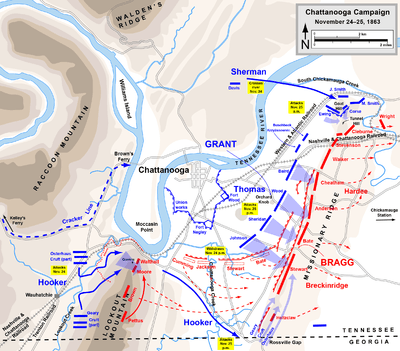 Following the defeat of the Army of the Cumberland at the Battle of Chickamauga by Confederate General Braxton Bragg's Army of Tennessee, the army was besieged in Chattanooga, Tennessee. Sherman's troops were sent to relieve them. 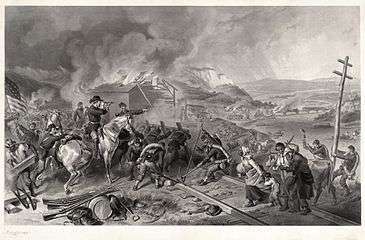 While traveling to Chattanooga, Sherman departed Memphis on a train that arrived at the Battle of Collierville, Tenn., while the Union garrison there was under attack on October 11, 1863. General Sherman took command of the 550 men and successfully defended against an attack of 3,500 Confederate cavalry. During the Chattanooga Campaign in November, under Grant's overall command, Sherman quickly took his assigned target of Billy Goat Hill at the north end of Missionary Ridge, only to discover that it was not part of the ridge at all, but rather a detached spur separated from the main spine by a rock-strewn ravine. When he attempted to attack the main spine at Tunnel Hill, his troops were repeatedly repulsed by Patrick Cleburne's heavy division, the best unit in Bragg's army. Sherman's efforts were assisted by George Henry Thomas's army's successful assault on the center of the Confederate line, a movement originally intended as a diversion. 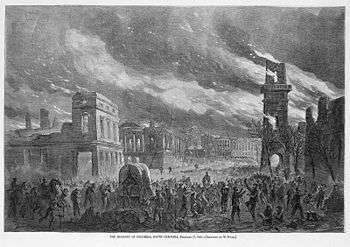 Subsequently, Sherman led a column to relieve Union forces under Ambrose Burnside thought to be in peril at Knoxville. 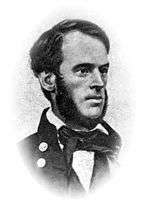 In February 1864, he led an expedition to Meridian, Mississippi, to disrupt Confederate infrastructure. One of Sherman's significant contributions as head of the Army was the establishment of the Command School (now the Command and General Staff College) at Fort Leavenworth in 1881. 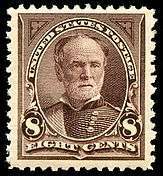 Sherman stepped down as commanding general on November 1, 1883, and retired from the army on February 8, 1884. He lived most of the rest of his life in New York City. He was devoted to the theater and to amateur painting and was much in demand as a colorful speaker at dinners and banquets, in which he indulged a fondness for quoting Shakespeare. During this period, he stayed in contact with war veterans, and through them accepted honorary membership into the Phi Kappa Psi Fraternity and the Irving Literary Society. Sherman was proposed as a Republican candidate for the presidential election of 1884, but declined as emphatically as possible, saying, "I will not accept if nominated and will not serve if elected." Such a categorical rejection of a candidacy is now referred to as a "Shermanesque statement." In 1888 he joined the newly formed Boone and Crockett Club, a wildlife conservation organization founded by Theodore Roosevelt and George Bird Grinnell. Sherman's birth family was Presbyterian and he was originally baptized as such. His foster family, including his future wife Ellen, were devout Catholics, and Sherman was re-baptized and later married in the Catholic rite. According to his son Thomas, who became a Catholic priest, Sherman attended the Catholic Church until the outbreak of the Civil War, but not thereafter. 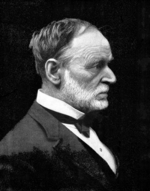 In 1888, Sherman wrote publicly that "my immediate family are strongly Catholic. I am not and cannot be." A memoirist reports that Sherman told him in 1887 that "my family is strongly Roman Catholic, but I am not." Other posthumous tributes include Sherman Circle in the Petworth neighborhood of Washington, DC, the naming of the World War II M4 Sherman tank, and the "General Sherman" Giant Sequoia tree, the most massive documented single-trunk tree in the world. Sherman is a principal character in Chelsea Quinn Yarbro's vampire novel In the Face of Death. ↑ See History of LSU. Archived March 10, 2009, at the Wayback Machine. 1 2 Bassett, Thom (2012-01-17). "Sherman's Southern Sympathies". The New York Times. Retrieved February 5, 2012. ↑ Lloyd Lewis (1993) . Sherman: Fighting Prophet. U of Nebraska Press. p. 138. Retrieved 2016-02-23. ↑ "Department of Military Science: Unit History". LSU Army ROTC. Retrieved 2016-03-07. ↑ See Marszalek, Sherman, pp. 202–08. Sherman's operations were supposed to be coordinated with an advance on Vicksburg by Grant from another direction. Unbeknownst to Sherman, Grant abandoned his advance. "As a result, [Sherman's] river expedition ran into more than they bargained for." Smith, Grant, p. 224. ↑ For a good discussion, see Russell S. Bonds, War Like the Thunderbolt: The Battle and Burning of Atlanta (Yardley, PA: Westholme Publishing, 2009), 337–74. ↑ John F. Marszalek, "'Take the Seat of Honor': William T. Sherman," in Steven E. Woodworth, ed., Grant's Lieutenants: From Chattanooga to Appomattox (Lawrence: Univ. of Kansas Press, 2008), pp. 5, 17–18; Marszalek, Sherman, pp. 320–21. ↑ Jacob D. Cox, Military Reminiscences of the Civil War (1900), vol. 2, 531–32; Jacob D. Cox, The March to the Sea (1882), p. 168; Johnston is also quoted in McPherson, p. 828. 1 2 Sherman, William Tecumseh (10 May 1999). "Letter to Salmon P. Chase, January 11, 1865". In Simpson, Brooks D.; Berlin, Jean V. Sherman's Civil War. University of North Carolina Press. pp. 794–795. ↑ B. H. Liddell Hart (1929). "Letter by W.T. Sherman to John Sherman, August 1865". Sherman: Soldier, Realist, American. New York: Dodd, Mead and Co. p. 406. ↑ "Sherman meets the colored ministers in Savannah". Civilwarhome.com. Retrieved 2010-03-19. ↑ Fernández-Armesto, Felipe (2014). Our America: A Hispanic History of the United States. New York: W. W. Norton & Company. p. 178. ↑ Ingham, Donna (2010). Mysteries and Legends of Texas: True Stories of the Unsolved and Unexplained. Rowman & Littlefield. p. 35. ↑ "Boone and Crockett Club Archives". ↑ "SHERMAN, William Tecumseh: Monument (ca. 1903) in Sherman Square near the Treasury Dept. in Washington, D.C. by Carl Rohl-Smith located in James M. Goode's The Ellipse area". ↑ Morris, Errol (Director) (Dec 19, 2003). The Fog of War: Eleven Lessons from the life of Robert S. MacNamara (Motion picture). Los Angeles, CA: The Weinstein Company. Carr, Matthew (2015). Sherman's Ghosts: Soldiers, Civilians, and the American Way of War. The New Press. ISBN 9781595589552. OCLC 884815509. Miers, Earl Schenck (1951). The General who Marched to Hell. New York: Alfred A. Knopf. OCLC 1107192. McDonough, James Lee (2016). 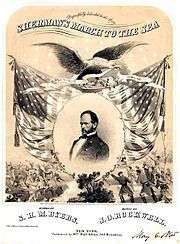 William Tecumseh Sherman: In the Service of My Country: A Life. W.W. Norton & Company. ISBN 9780393241570. OCLC 939911299. "Sherman, William Tecumseh". Appletons' Cyclopædia of American Biography. 1900. "Sherman, William Tecumseh". The Nuttall Encyclopædia. 1907. Chisholm, Hugh, ed. (1911). "Sherman, William Tecumseh". Encyclopædia Britannica (11th ed.). Cambridge University Press.